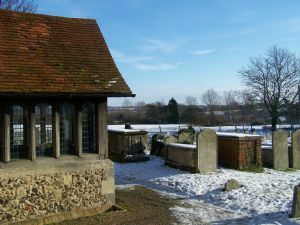 We have a quiet churchyard overlooking the fields of Notley Hall. It is still an open churchyard and has a Wall of Remembrance where plaques for loved ones have been added. 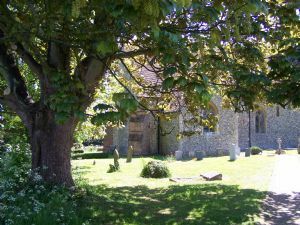 Footpaths pass through the churchyard leading to the village and the John Ray Walk. Visitors are welcome to walk through or to pause and sit for a while. As with all churchyards there are restrictions on the type and size of stone that can be used for memorials and on the content of the inscriptions. Some memorials and additional inscriptions can be authorised by the priest in charge after a special form has been completed. This CR1 form can be obtained from the priest in charge or from most stonemasons and undertakers. Other memorials will need special permission by way of a faculty, an application to the Chancellor of the Diocese. To view full details in the Diocese of Chelmsford's Churchyard Handbook, click here.